A NEW OFFICE block which will accommodate 450 new jobs is planned for Cork city’s historical business district, the South Mall. Subject to receiving viable planning permission, construction will begin immediately and work towards a completion date of late Summer 2018. JCD Group, the Cork based property development company, are lodging a planning application for a €25 million new office development today. The five storey office building which includes 85 and 86 South Mall also extends to include two additional sites to the North which will border Crane Lane, Phoenix Street and Smith Street with the main entrance lobby onto the South Mall. Minister Simon Coveney said, “This is a very positive new development in the city centre providing new office accommodation to enable Cork to compete on both a national and international level for Foreign Direct Investment. The JCD Group are also behind major recent Cork developments such as One Albert Quay, The Capitol and City Gate in Mahon. The spokesman added that in addition to the 450 city centre jobs that will be accommodated once the project is completed, the project would also sustain 125 construction jobs throughout the build. It’s understood that the tenant line-up should be announced shortly. Email “Cork set to get new €25 million office space that will accommodate 450 new jobs ”. 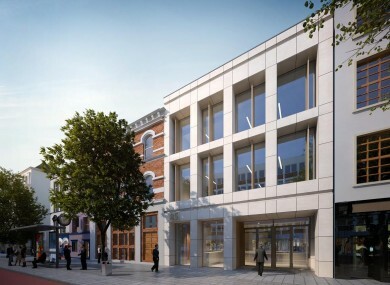 Feedback on “Cork set to get new €25 million office space that will accommodate 450 new jobs ”.